Why practice in the area of domestic relations? I used to ask myself that question often when I first started practicing law because of the high emotional toll that this area of law has on my clients, their families, and myself. However, I began to appreciate the ability to change a very negative experience into a means of helping people move forward with their lives with the least amount of damage, both emotionally and financially. This is my commitment and has become my personal goal in every matter I handle. Simply put, there is no other area of law I would rather practice. Domestic relations law is all encompassing. It gives me the opportunity to work in the areas of family dynamics, financial planning, and many other areas of the law. 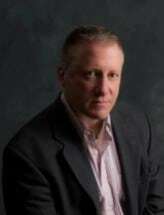 Whether acting as an attorney or a mediator, my mission is the timely, cost effective, and fair resolution of issues in order to minimize emotional hardship, legal expenses, the risks involved with a formal court proceeding, and the negative effect that these types of disputes inevitably have on individuals and their families' personal lives. Through the identification of interests, it is possible to not only reach equitable agreements, but also to create a path that will allow individuals and families the techniques to reach amicable resolution of future issues they face, whether personal or financial. This is especially important when it comes to co-parenting. Why do I have the confidence to make these bold statements? I have been practicing family law for approximately 15 years. During this time, I have corresponded with professionals in all fields including financial planners, mental health care professionals, business valuators, accountants, and other attorneys. I have completed and participated in numerous courses involving effective negotiation with various levels of conflict over the last 9 years including over 200 hours of seminars and workshops. Furthermore, I have participated in and conducted hundreds of mediations throughout the state of Colorado. These experiences have allowed me to observe the various techniques and their effectiveness in resolving disputes. My experience as an acting mediator has given me the knowledge and confidence to enable all parties to participate in good faith, even those not believing in the process, and thereby, keeping an open mind toward resolving the various issues they are facing, no matter the complexity and adversarial nature of the disputes. This is especially important in high conflict cases. I am able to act as a facilitator, evaluator, and employ interest based negotiation as necessary and appropriate for the various issues facing the individual. I have read numerous articles and books on domestic relations issues including parenting plans for children of various ages and needs, cases involving domestic violence, relocation of a parent, grandparent visitation, child support, complex financial matters, estate document interpretation and drafting, and other areas including high conflict divorce. Additionally, I have had the opportunity to thoroughly research, negotiate and litigate other areas of law involved with my own cases and cases in which I have acted as the mediator.